Ok guys. 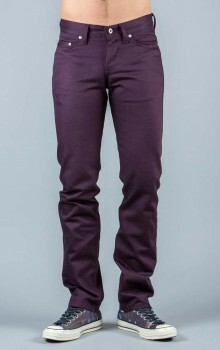 If you haven’t heard by now burgundy has been HUGE this year… err last year… whatever this season. 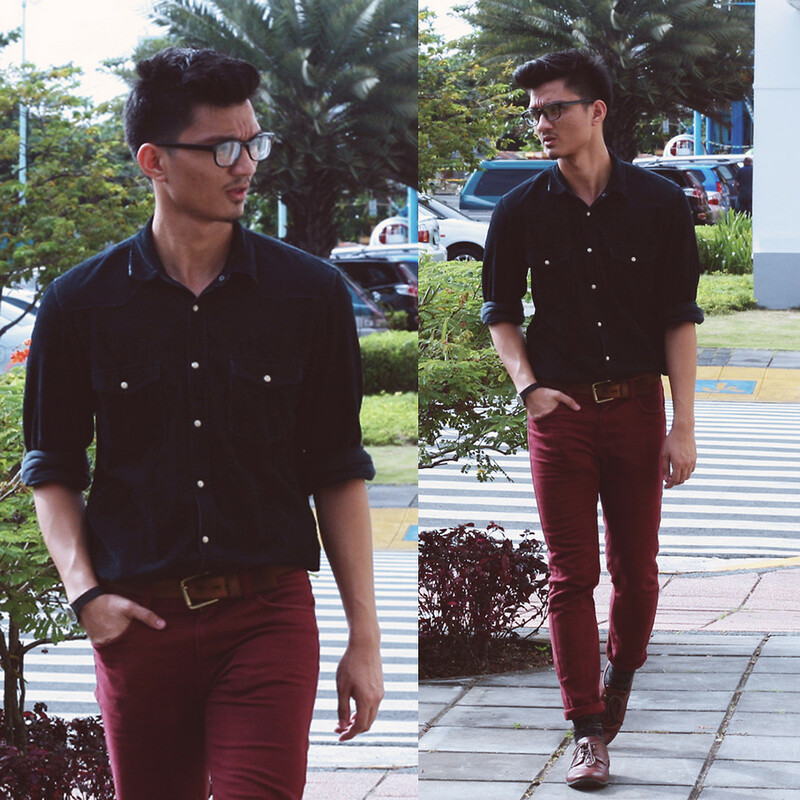 Deep crimson red is ever colors best friend and looks drop dead on every skin tone. 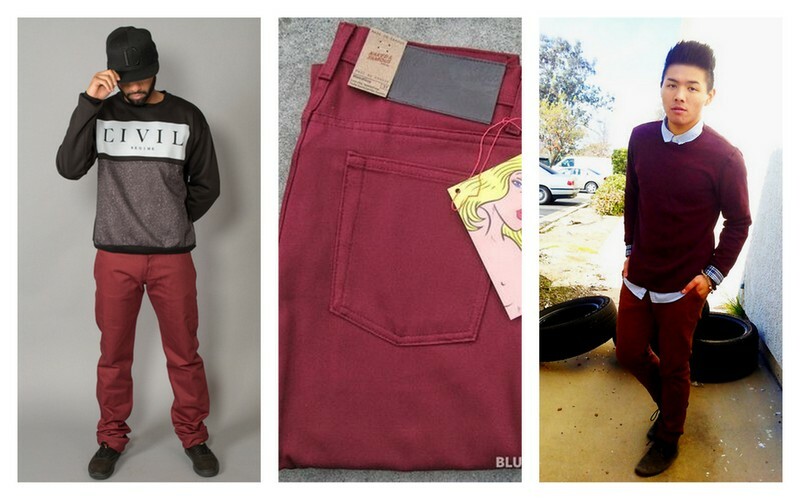 Check out some of our favorite menswear styles with the color everyone should be rocking. We aren't going to lie. You see these folded on the shelf and they look bright and loud. But upon dawning them on your body you'll have a sweet surprise. They are pretty freakin fantastic and comfortable. Totally unexpected, way more neutral of a color then one would think. 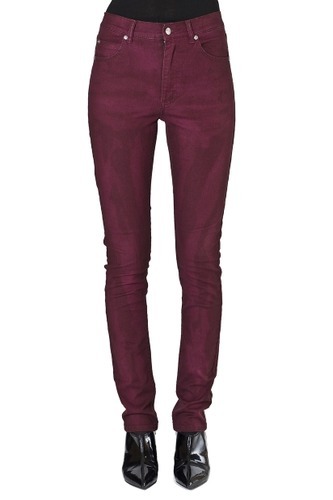 These burgundy pants will become a staple in your closet quickly. 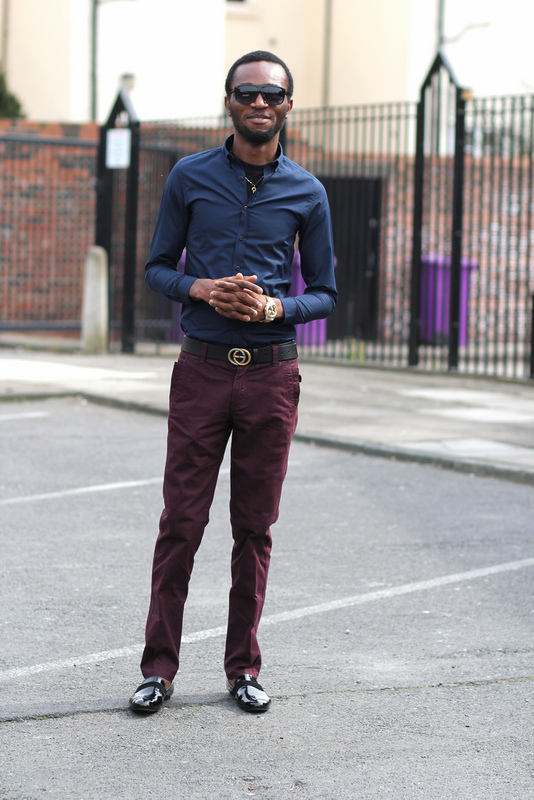 While the jeans maybe our favorite unexpected way to rock the burgundy trend button-ups, sweaters, scarves, and hats are easy too! 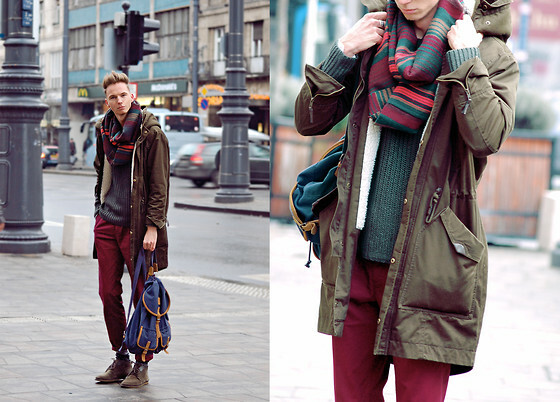 Add a scarf of the same color to tie the outfit together. These Cheap Mondays are everything! The staff can't stop wearing them! The Return of Monthly Muse! - Avery Russell Fu*k Yeah!